Just posted: Datacolor SpyderX Pro/Elite Review. Notable is that the SpryderX brings a very significant speed benefit over its Spyder5 predecessor. The Datacolor SpyderX Pro/Elite is available for preorder at B&H. Lawrenceville, NJ – (February 11, 2019) – Datacolor, a global leader in color management solutions, has launched SpyderX, its fastest, most accurate and easiest to use color calibration tool for monitors. The development of SpyderX is testament to Datacolor’s commitment in advancing color management solutions for photographers, videographers and creative specialists worldwide. SpyderX uses a fully redesigned color engine that provides significantly increased color accuracy and low light capabilities, giving photographers the confidence needed to achieve their creative vision. Blazing Speed – Taking less than two minutes to calibrate a screen, the SpyderX is several times faster than previous models, with calibration happening so fast it easily becomes part of the workflow. Highest Accuracy – Providing a significantly higher level of color accuracy and shadow detail on a wide range of monitors. Ease of Use – Simple and intuitive single-click calibration software, as well as advanced options. Now available in two versions, the SpyderX Pro is designed for serious photographers and designers seeking a fast and easy-to-use monitor calibration solution. The SpyderX Elite takes it one step further with more advanced settings for professional photographers and videographers who want ultimate control of their color workflow. Purchase SpyderX at Amazon or other authorized resellers. Permalink: Should I Get the Canon EOS 5D Mark IV or the Nikon D850? 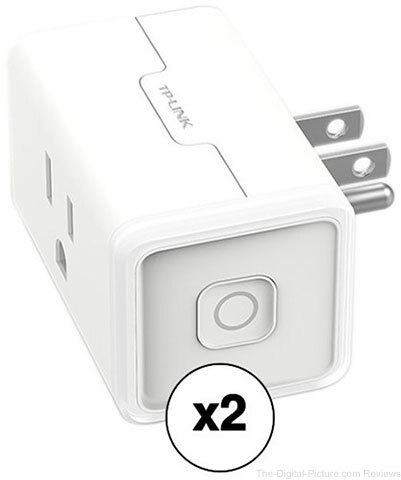 B&H has the TP-Link HS105 Wi-Fi Smart Plug Mini (2-Pack) available for $27.99 with free shipping. Regularly $49.99. 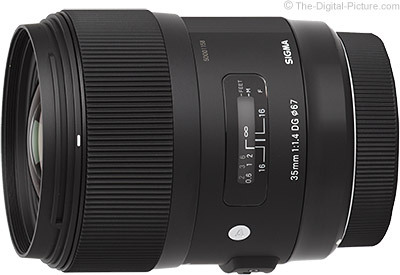 Through midnight tonight Eastern Time, B&H has the Sigma 35mm f/1.4 DG HSM Art Lens available for $749.00 with free shipping. Regularly $899.00. Discounted mounts include: Canon EF, Nikon F, Sony E, Sony A and Pentax K.
See today's full list of B&H Deal Zone Deals for excellent savings opportunities. I have a Nikon D850 in my hands and it is time to set up the camera for use. Following are the 31 steps I took to make an out-of-the-box Nikon D850 ready for use. While looking at an in-focus subject through the viewfinder, adjust the viewfinder diopter until the view is sharp. To do this, pull out on the adjustment knob beside the viewfinder and turn it until the view is sharp. Then press it back in to lock the setting. Download and install any Nikon software you want to have available. I of course make other menu and setting changes based on current shooting scenarios, but this list covers my initial camera setup process. To copy this configuration would mean that you intend to shoot similar to how I shoot – including shooting in RAW-only format (highly recommended). While my setup works great for me, your best use of this list may be for tweaking your own setup. If you can't remember your own menu setup parameters, keeping an up-to-date list such as this one is a good idea. Anytime your camera goes in for a service visit, the camera will likely be returned in a reset-to-factory state (unless you request otherwise). If your camera ever needs reset to factory settings any reason (or you purchase a second model), you will be ready to restore your setup quickly while ensuring that you do not miss an important setting. Your list will ensure that you do not miss an important setting when putting the camera into service. 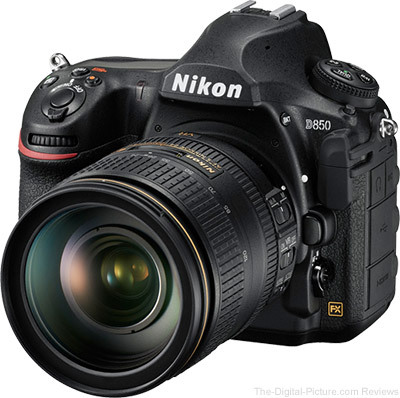 The Nikon D850 is in stock at B&H | Amazon | Adorama | WEX. Rent the Nikon D850 from Lensrentals. 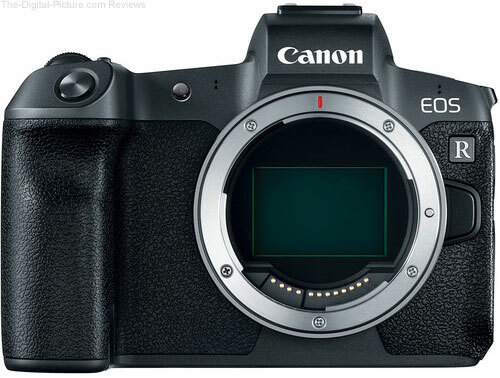 eBay (via deal-all-year – 99.7% Positive Feedback) has the Canon EOS R Mirrorless Camera available for $1,929.00 with free shipping. Compare at $2,299.00. Want an RF lens to go with your camera? You may prefer getting this Canon EOS R + RF 24-105mm f/4L IS USM Kit instead. Note: This is likely a grey market item and therefore would not qualify for a manufacturer warranty. If you're an Amazon Prime customer and love sports cars and British humor, then you're probably already a fan of Jeremy Clarkson, Richard Hammond and James May's banter on The Grand Tour. 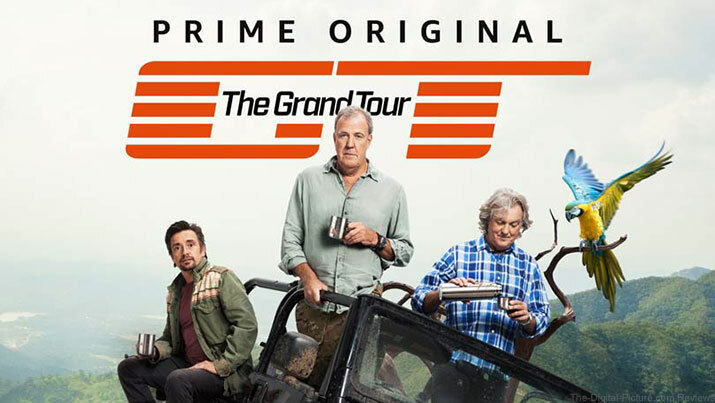 But even if you're not terribly interested in automobiles, you may still enjoy The Grand Tour: Season 3, Episodes 2 & 3 (Colombia Special Part 1 & 2) where the hosts are supposedly sent on assignment by Amazon to capture wildlife images for display on the company's suite of products, including Alexa devices. My wife falls squarely in the uninterested-in-cars group, but loves the show. 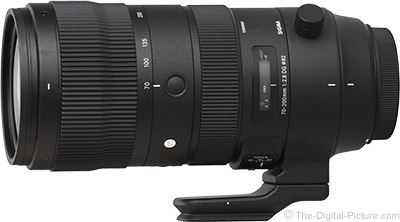 The SIGMA 70-200mm F2.8 DG OS HSM | Sports for Nikon F mount is scheduled to start the shipment in February, 2019. Interestingly, B&H still lists the SIGMA 70-200mm F2.8 DG OS HSM | Sports for Nikon F's availability as March 2019. Wanna take better nightscape and Milky Way photos? Start with these 5 tips from our friends over at SLR Lounge. From using apps for finding the Milky Way to scouting out the perfect shooting location, this video provides you with some useful advice to capture some great shots. Ready to take your Milky Way photos to the next level? 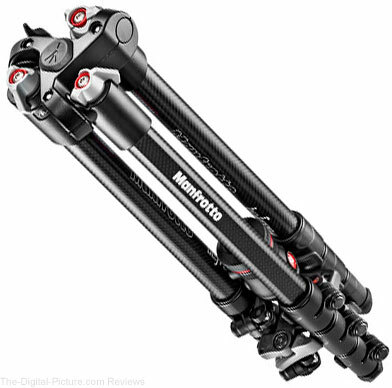 Check out our lens reviews and tripod reviews. 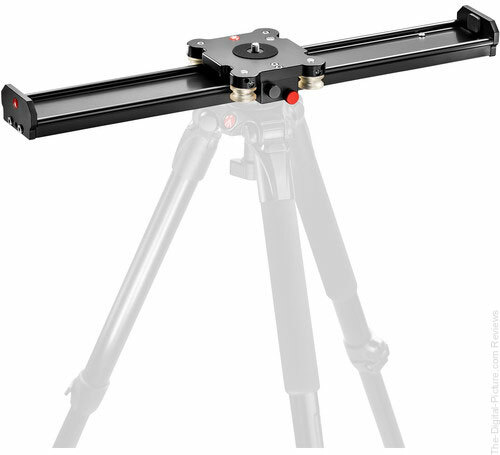 Through this weekend, B&H has the Manfrotto Camera Slider 60cm (23.6") available for $279.99 with free shipping. Regularly $399.99. 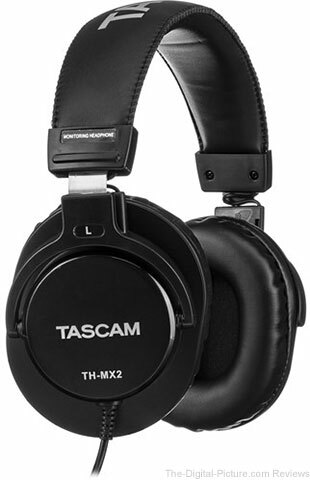 Through midnight tonight Eastern Time, B&H has the Tascam TH-MX2 Mixing Headphones available for $19.95 with free shipping. Regularly $49.95. 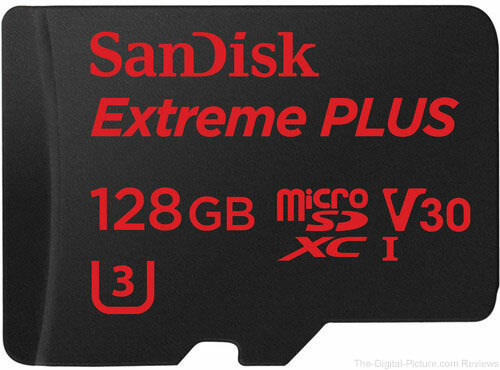 B&H has the SanDisk 128GB Extreme PLUS UHS-I microSDXC Memory Card with SD Adapter available for $49.99 with free expedited shipping. Regularly $99.99. 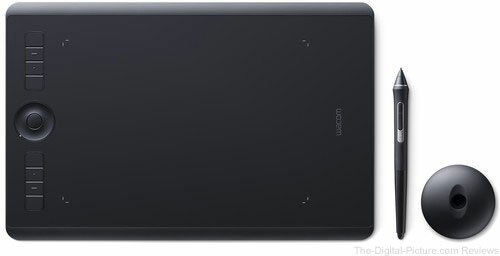 Use coupon code BHDOF19 at B&H to get the Wacom Intuos Pro Creative Pen Tablet (Medium) for $329.99 with free expedited shipping. Regularly $379.95.